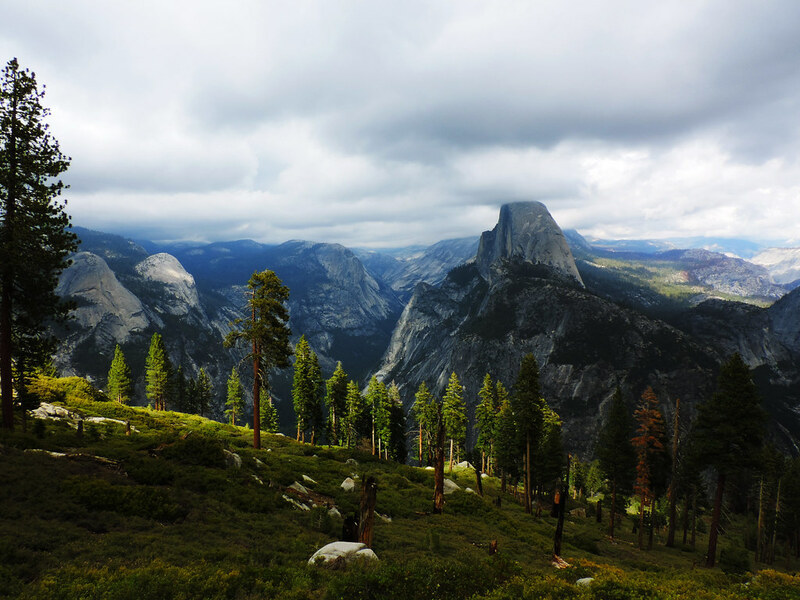 Yosemite is one of Sierra Nevada’s astonishing national parks and one of our favorites in the whole United States. 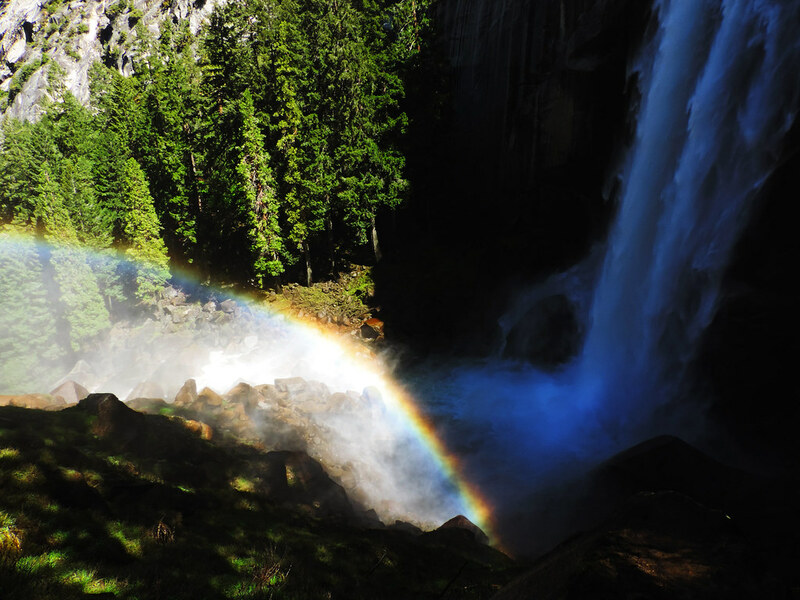 It has several wonderful waterfalls and giant white granite peaks to make it special and Yosemite Valley, it’s iconic and most popular part is especially a ‘little garden of perfection’. The most scenic trail we’ve done here was a big loop which consists of 3 trails. 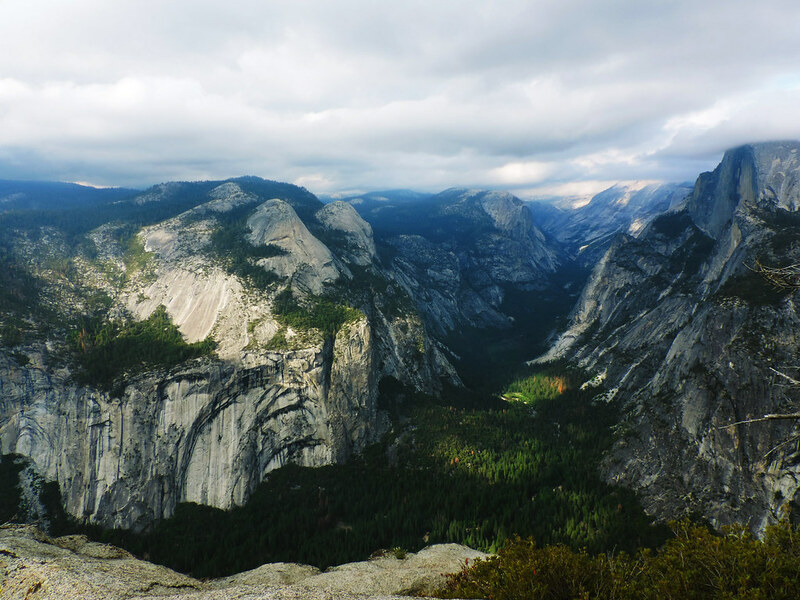 It passes by 3 waterfalls, offers distant views of Yosemite Falls and one of its highlights is Glacier Point which has probably the best panorama in the whole park. We started Mist Trail at Happy Isles, then continued on Panorama Trail towards Glacier Point and there we took the Four Miles Trail down to the valley. It’s not a full loop as there’s a distance between the starting and the end point, but thanks to Yosemite’s park shuttles, we could make it a loop. How to actually make it a loop? We parked our car near the Four Miles Trailhead and took the park shuttle to Happy Isles. Of course, you can park at Happy Isles and use the shuttle from Four Miles Trail to get back after the hike, too. We just wanted to use the shuttle in the morning and get right away into our car when we are tired after the hike. So what makes this trail so special? 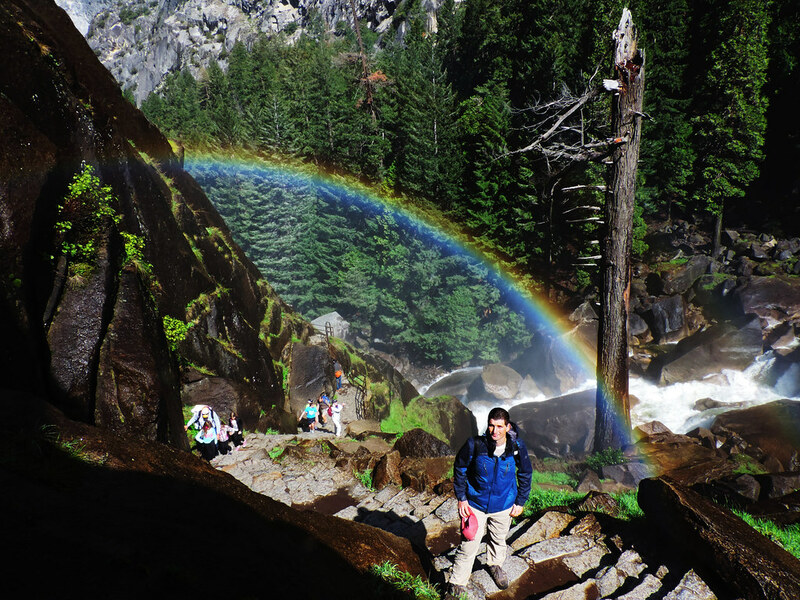 We remember Vernal Fall as ‘the Rainbow Fall’ and we are not the only ones. Thanks to the mist coming from the falls you have high chances to spot a huge and beautiful rainbow somewhere near the waterfall if the weather is sunny. Isn’t that a good start? 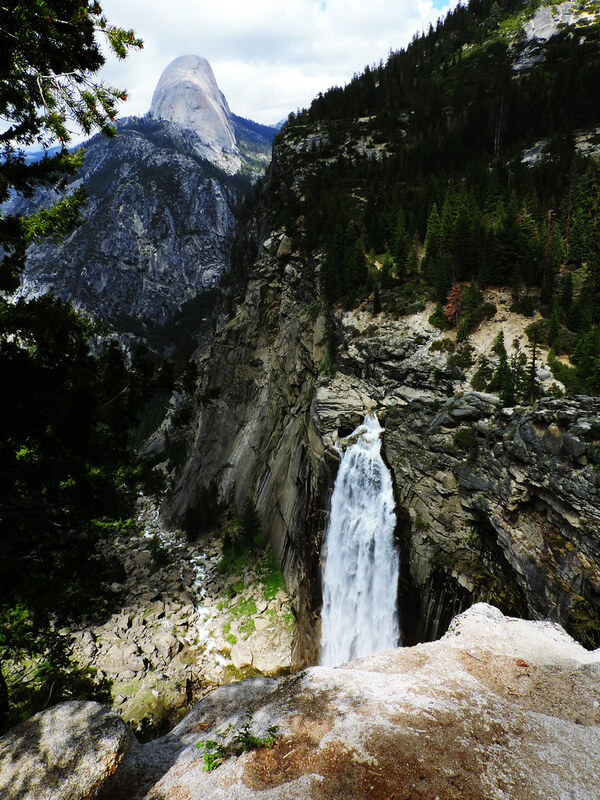 The trail becomes a little steeper as you continue your way up after Vernal Fall, but it rewards you with Emerald Pool, distant views of Nevada Fall (594 feet / 181 m) and the panorama is also getting better. 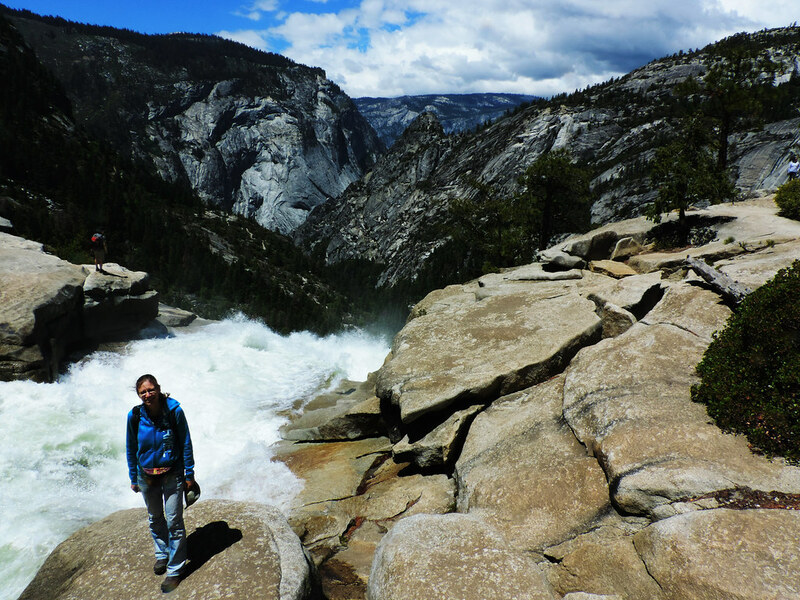 The first really impressive views are from the top of Nevada Falls – and I mean both looking around and looking down! It’s also a perfect place to have a rest stop and cool down your feet in the pools before continuing on Panorama Trail. The name of Panorama Trail will definitely raise some expectations and we can assure you that it won’t disappoint. It’s a scenic hike with the view of distant peaks all the way and sometimes a distant view of Yosemite Falls is also part of the picture. 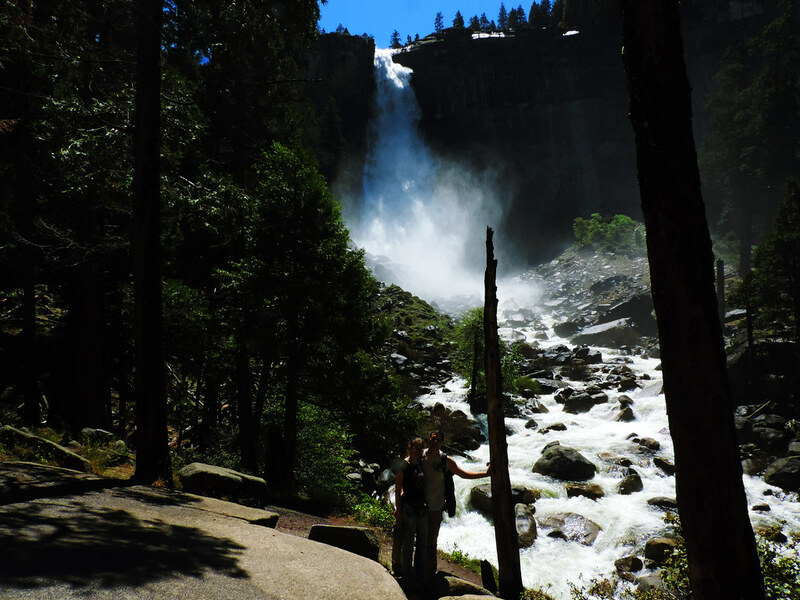 There’s a close view of the hidden Illilouette Fall (370 feet / 112 m) from Panorama Trail. It’s located in a deep, green and inaccessible valley and you can have a view of the fall from above. Panorama Trail ends at Glacier Point. 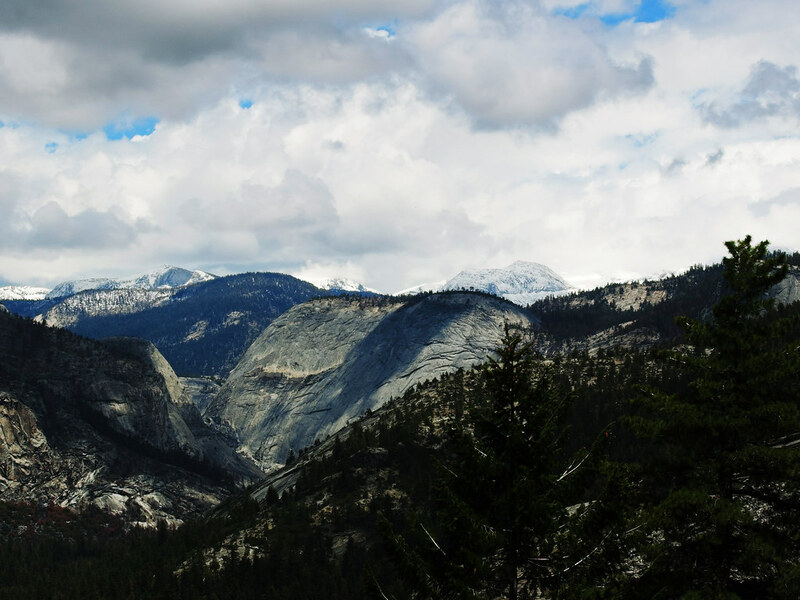 Here you can have a wide, impressive panorama of the whole valley including Yosemite Falls, Vernal and Nevada Fall. We’ve seen even snowcapped peaks in the distance at the end of May. From Glacier Point you will be heading down on the steep Four Miles Trail which is not so surprisingly about 4 miles long and very scenic all the way. We were so tired when we finally got back to our car at Four Miles Trailhead! But it was the perfect kind of tiredness, the happy kind what you can only have after a long hiking day full of amazing moments. Hiking time in Yosemite is from May to October, but if you want to see the waterfalls in their glory (or at all), then the best time is May and June. 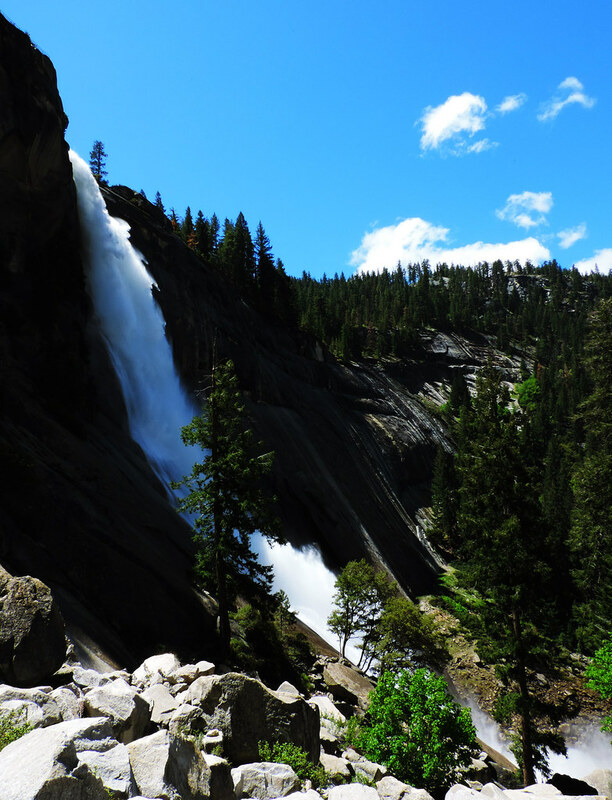 Most of the waterfalls get their water from snowmelt and they usually dry out by August (yes, Yosemite Falls, too) – except for Vernal and Nevada Falls on Merced River which have some water all year. But others will have very few water (if any) in August and early fall. Even if you are not much of a hiker or for whatever reason you don’t want or can’t do such a long and tiring hike, it’s still worth to check this one out as any part of this loop is so beautiful! 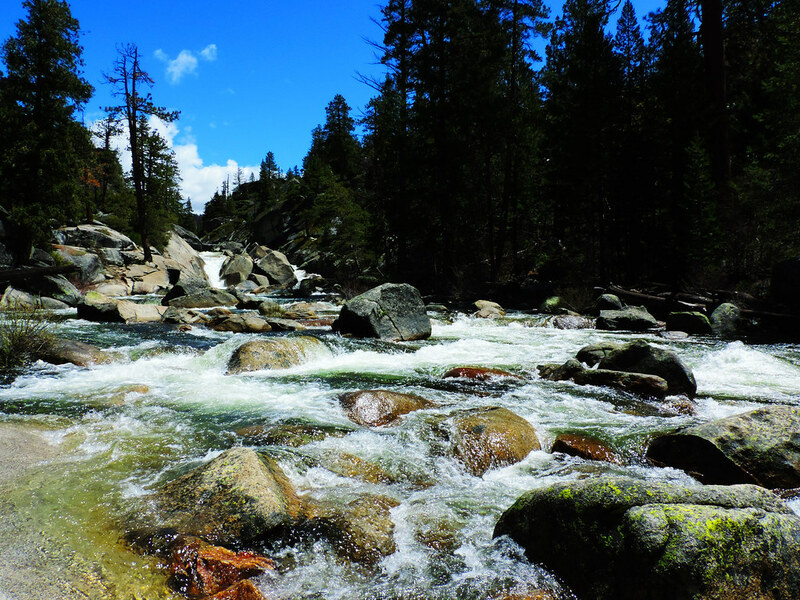 You can do just a part of it, like a short hike to Vernal Fall and back. Four Miles Trail to Glacier Point and back is also a perfect half day hike though it’s very steep. And let me tell you a secret: Glacier Point is also accessible by car from Glacier Point Road, so you don’t have to hike at all if you don’t want to (but where’s the fun then? :D). 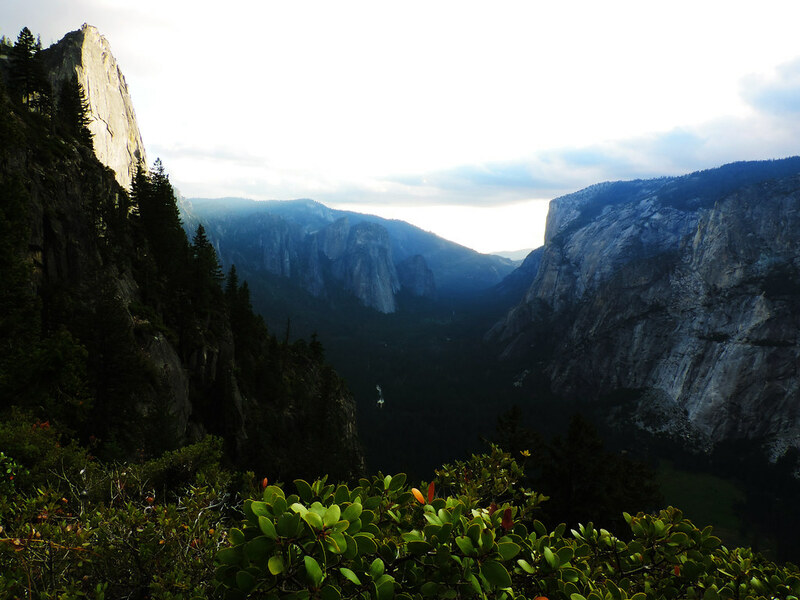 Our tip would be to book something outside of Yosemite Valley. Probably you won’t have other chances anyway, because you need to book very early to still find free rooms in the Valley and they are expensive, too. We stayed in Fish Camp. For further tips on accommodation and travel, you can read our post about travelling in the US on budget! 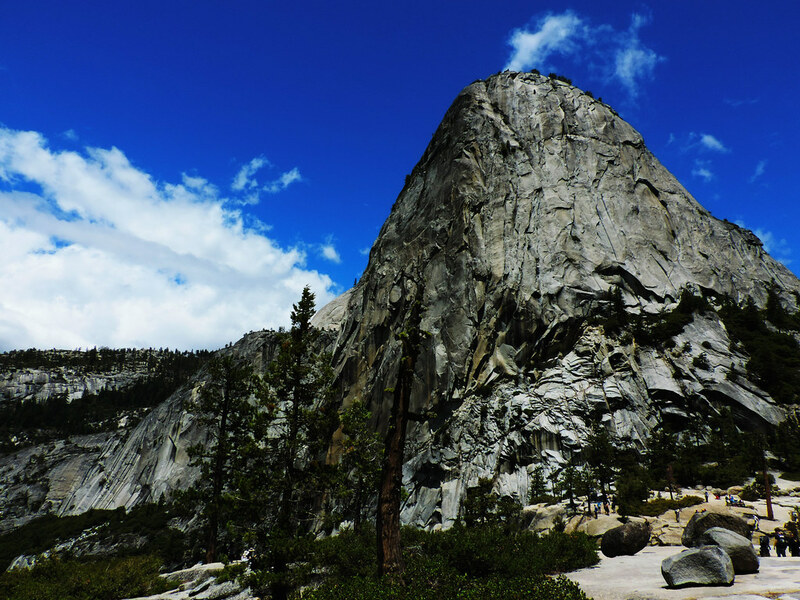 Do you have a favorite hike in Yosemite Valley?